Pep Guardiola may not have been entirely enamoured with Manchester City’s performance against Arsenal. It contained the same post-opening goal lull that haunted them against Leicester City, Crystal Palace and Newcastle United and frustrated their coach during victories against Everton, Southampton and Huddersfield. But if there were faults in the performance, there were none in the goals. Guardiola has a vision of the ideal goal: patient passing in defence to draw out the opposition, quicker passing higher up the pitch to create space and overlaps, the ball played between the lines to the goal-line, a cut back to find an attacker two yards from goal with an open net. On Sunday, City produced three versions of the same goal. Guardiola is so wedded to this method of scoring goals because he believes in the power of attacking efficiency. Goals thrashed into the top corner from 25 yards may wow supporters, but Guardiola knows that they are not the percentage play. Watch a game from near the dug-out at the Etihad and witness him turning away in disgust when Nicolas Otamendi or Kyle Walker gets a little giddy and attempts the spectacular. Believe in the method, fine-tune the passing and City can score their type of goal over and over again. Aguero’s role in this goal is easy to underplay, the man adding the cherry to a perfectly cooked and perfectly iced cake. But the Argentinian’s movement and finishing makes the task of those around him easier. A diving header so early in the game and so near the floor is no easy feat. Aguero is the king of right place and right time. Aguero’s Sunday hat-trick was his tenth in the Premier League, one behind Alan Shearer’s long-standing record. He has now scored 20 goals in all competitions for the 11th time in 12 seasons. Having reached 30 in each of the last two and surely set to repeat that trick in 2018/19, Guardiola has honed Aguero to match the exact needs of the team. At 30, he’s never been in better form. 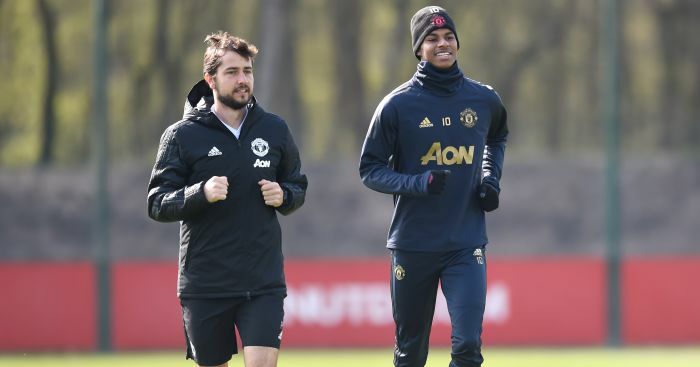 The two poster boys of Jose Mourinho’s Manchester United decline, the homegrown hero stuttering and spluttering and the superstar midfielder who was losing goodwill at the same rate as he was losing possession. 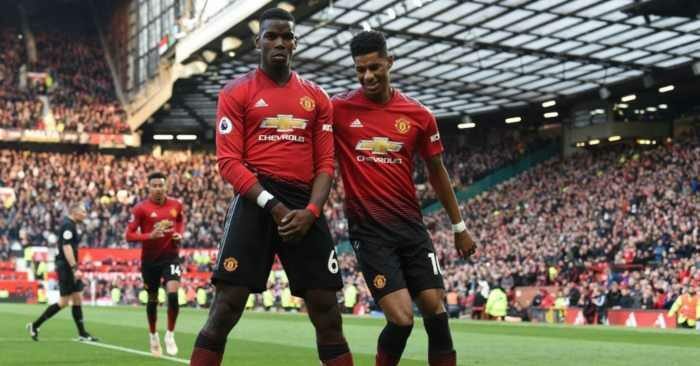 It is no exaggeration to say that both Rashford and Pogba might have irrevocably lost their way at Old Trafford had Mourinho stayed for six more months. 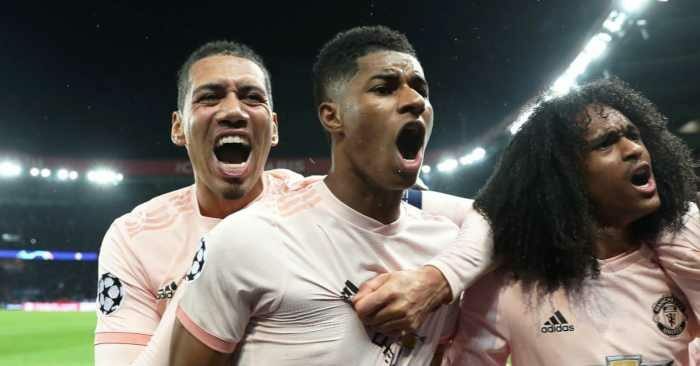 It is also no exaggeration to hail Rashford and Pogba as poster boys of Ole Gunnar Solskjaer’s short but successful tenure. Under Mourinho, the pair provided six goals and eight assists this season. Under Solskjaer, they have already provided 12 goals and seven assists. The transformation is extraordinary, particularly given the flak that Pogba was getting from all sides. The manner in which he won the ball high up the pitch and chipped through the perfect through ball emphasised the confidence the Frenchman now has away from Mourinho. 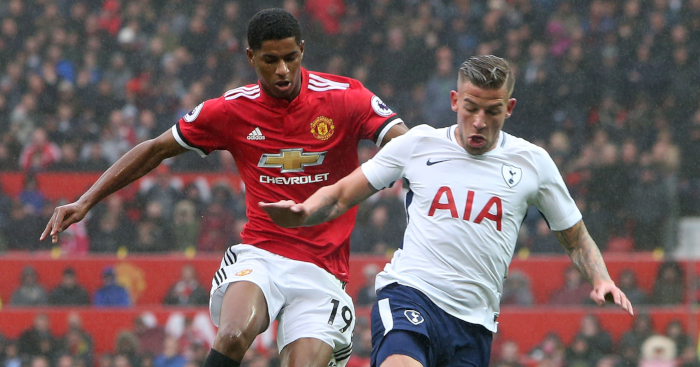 The manner in which Rashford controlled the ball and finish his chance proves that his own belief is back. 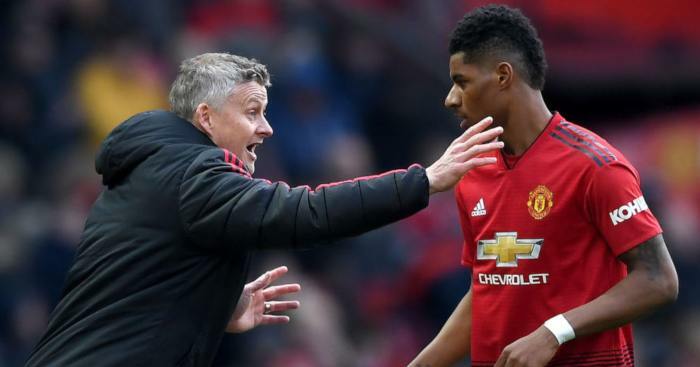 And so a word for Solskjaer too, because how can Manchester United make a change if this astounding run of form ends in Champions League qualification? Six weeks ago, his last experience of English football was a 1-0 home defeat to Middlesbrough that left Cardiff City 17th in the Championship. Now he is in charge of the form team in the country. Signs of excellent link-up play between the pair, albeit against comfortably the worst team in the division. Higuain’s second goal took a significant deflection that actually improved the aesthetics of the finish on first viewing, but his first was thrashed home with the sort of conviction that Alvaro Morata never displayed in England. More important to Maurizio Sarri is that Hazard is happy. The Belgian’s two touches and finish – with his weaker foot – for his second goal were wonderful enough that you’d be happy to take them home and meet your mother shortly before a shotgun proposal. Firmly over their second mini-blip of the season. In their last three league matches, Wolves have beaten the three sides (Leicester, West Ham, Everton) that we would consider them most likely to compete with to be the best of the rest. Wolves’ biggest problem this summer might be holding onto a manager who has improved his reputation more than any other in the Premier League this season. Warnock is not a man who you would associate with tears. Cardiff’s manager has sculpted his managerial persona out of granite. He is gruff, he is gritty, he is grouchy. Warnock has admitted to struggling mentally over the last fortnight, coming close to leaving his position as Cardiff manager but vowing to fight on in Sala’s memory. After the full-time whistle that secured home victory over Bournemouth, he circled the pitch to thank every section of the Cardiff City support. Relief, grief, guilt and sorrow suddenly surged, and the tears flowed. That’s not a sign of weakness, but strength. Had Son scored or assisted 13 goals in his last ten league games in any circumstances, he would be in line for substantial praise. 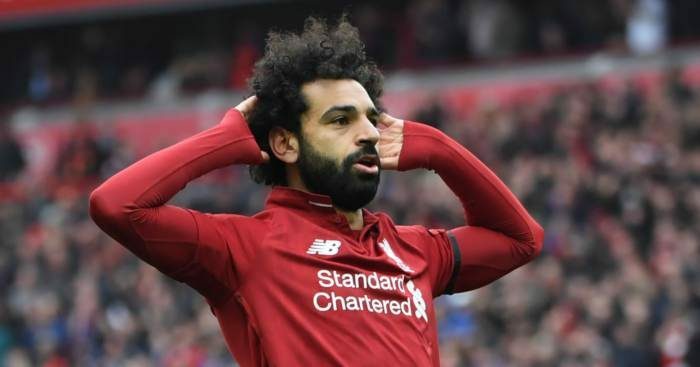 That he has often done so in the absence of Harry Kane and Dele Alli only makes the cause for celebration more worthy. But that isn’t where it ends. Because Son has led this Tottenham attack despite participation in the Asian Cup and led it deep into crucial matches despite surely suffering from fatigue. Usually smiling, never moaning and a proven stunning bargain at £22m at the age of 23, Son displays all the qualities that have underpinned Tottenham’s rise to the status of top four regulars. He was our early winner. Nov 6 vs PSV – Winner in the last 10 minutes. Nov 28 vs Inter – Winner in the last 10 minutes. Dec 11 vs Barcelona – Equaliser in the last 10 minutes. Dec 15 vs Burnley – Winner in the last 10 minutes. Jan 20 vs Fulham – Winner in the last 10 minutes. Jan 30 vs Watford – Winner in the last 10 minutes. Feb 2 vs Newcastle – Winner in the last 10 minutes. World Cup, small squad, injury crisis, no signings – Tottenham were meant to tire. And of course they still might. But over the last three months, when Spurs’ schedule got tough, they got going. And got going deeper and later in matches. A player transformed. Redmond was drowning under Mark Hughes, but Ralph Hasenhuttl has moved him centrally and asked him to play as a support striker. Redmond is thriving, able to get on the ball far more and dictate play while drifting left and right. Having failed to contribute a single goal or assist in the league under Hughes, he has scored six goals and assisted a further two under Hasenhuttl. Not yet out of trouble – the gap to the bottom three is still four points thanks to Cardiff’s win – but Palace may have turned a corner. After defeat to West Ham in December, Roy Hodgson’s side had taken 12 points from 16 games. Since then, they have taken 14 points from nine games. That’s more than 12 other Premier League teams, including Arsenal. And just how good is Aaron Wan-Bissaka? A manager with a real problem on his hands, whose reputation is dropping more quickly than Everton down the Premier League. If you sell yourself as a short-termist manager who is suitable for a long-term project, don’t be surprised if people panic when things quickly go south following a promising start. Defeat to Wolves at Goodison on Saturday emphasised several unpleasant home truths. Everton are not the seventh best team in the Premier League, for that honour lies with their opponents. Everton are maddeningly inconsistent: they last won consecutive league games in October. Everton are also desperately poor defensively, particularly from set-pieces. On that issue, Silva has changed Everton more than they have changed him. The accusation at Watford and Hull was that Silva was a Roberto Martinez prototype, capable of guiding a team to play attractive attacking football but lacking the resilience required to secure sustainable progress. In his 47 matches as a Premier League manager, Silva’s teams have conceded 33 set-piece goals. That is more than any other manager over the same period. Silva’s biggest headache lies not in the media criticism that is now coming his way, but in the impatience of his bosses. On January 9, Farhad Moshiri admitted that he was unhappy with Everton’s form, albeit while offering Silva his support. “I look at the table and it is just not good enough,” Moshiri said. “We need to go up the table, we need to utilise the fans’ impatience to drive the club.” Since then, Everton have lost to Southampton and Wolves and tumbled out of the FA Cup to Millwall. You can see Moshiri’s point and understand the reservations of some season ticket holders. Everton have a squad littered with expensive signings. They have ten players in the first-team squad that cost £20m or more (to put that into context, Arsenal have seven). If money only makes the world go round in combination with wisdom, Everton’s owners will only be too happy to make changes in pursuit of their ambitious goal. Jan Siewert is in a very odd position. The assumption even before he joined was that Huddersfield Town would go down, or David Wagner would not have left. But that leaves Siewert in a stranger purgatory where results will not make a difference to the club’s Premier League safety but may define his own ability to keep his job. If Siewert has been appointed to build a promotion campaign next season, as we can reasonably assume, losing every match for the remainder of this season is hardly going to help. And yet Huddersfield are stuck in a deep rut, having taken one point from a possible 36 and still stuck on Derby County’s record low points total. If Siewert’s first task is to take them above that miserably low benchmark, it hasn’t started well. The issue that underlines why it will take Unai Emery time (and multiple transfer windows) to take Arsenal firmly forward. Against Manchester City, Emery was forced to pick Stephan Lichtsteiner at right-back. He was a budget signing from Juventus, who realised that Lichtsteiner’s ability to cope with fast wingers was declining given his age. In a faster, more intense league than Serie A, Lichtsteiner has floundered. Those Arsenal supporters who moaned on social media about the inevitability of the result were probably right – we all saw it coming. But those who blamed Emery for that are way off the mark. He is not perfect, but he’s also managing with one hand tied behind his back. The reality is that Manchester City operate in a different realm. Sanchez is the highest-paid player in the league, who has played 595 league minutes all season and started his first league match since November against Leicester City. He completed the attacking set: No shots on target, no shots, no assists, no chances created, no crosses, no fouls won. Ozil is the second highest-paid player in the league, who has played 76 minutes of league football in 2019. They were against Cardiff City at home last midweek, when the German did little of note. Against Manchester City on Sunday, when Arsenal needed a goal, Ozil stayed on the bench. Dubravka arrived in the Premier League as a comparatively unknown goalkeeper and immediately gained a reputation for reliability and thus cult hero status on Tyneside. But that status is wavering during 2018/19. Dubravka cost Newcastle United a chance of a point with his sloppy mistake against Manchester United last month, and exactly a month later did the same against Tottenham. Rafael Benitez’s backs-to-the-wall approach has been proven to work against the best clubs in the league, but it relies upon every member of the defence doing the basics right. That includes the goalkeeper not letting shots squirm past him. Two steps forward and one more back, which will annoy Eddie Howe intensely. Bournemouth are punching way above their weight, but they also tend to lurch from brilliance to disarray like West Ham and Leicester. How do you go from beating Chelsea 4-0 to losing 2-0 to Cardiff with no shot on target in the second half? ...and yet not worth close to £100m to Barcelona. In troubled times, United need him. 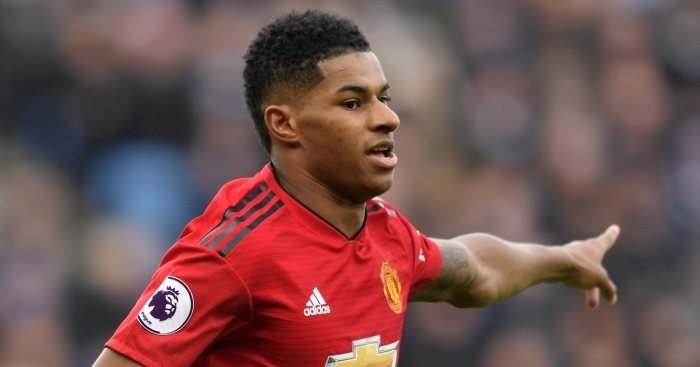 Manchester United boss Ole Gunnar Solskjaer is hopeful Marcus Rashford will be available for Wednesday.